Delectably delicious, but still guilt free and nutritious! 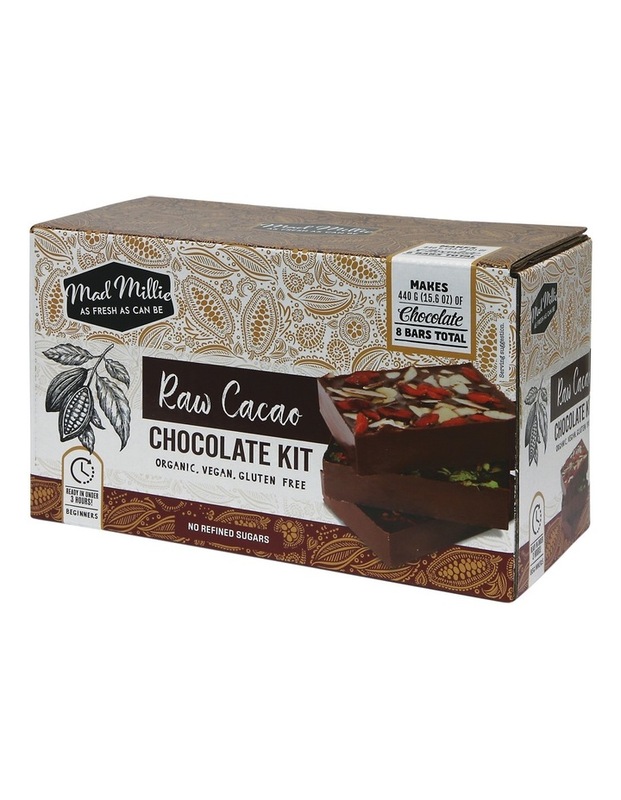 The mad millie raw chocolate kit will contain all the essential tools and basic ingredients you need to make dark and milk chocolate at home. Raw, vegan, tasty and good for the mind body and soul! 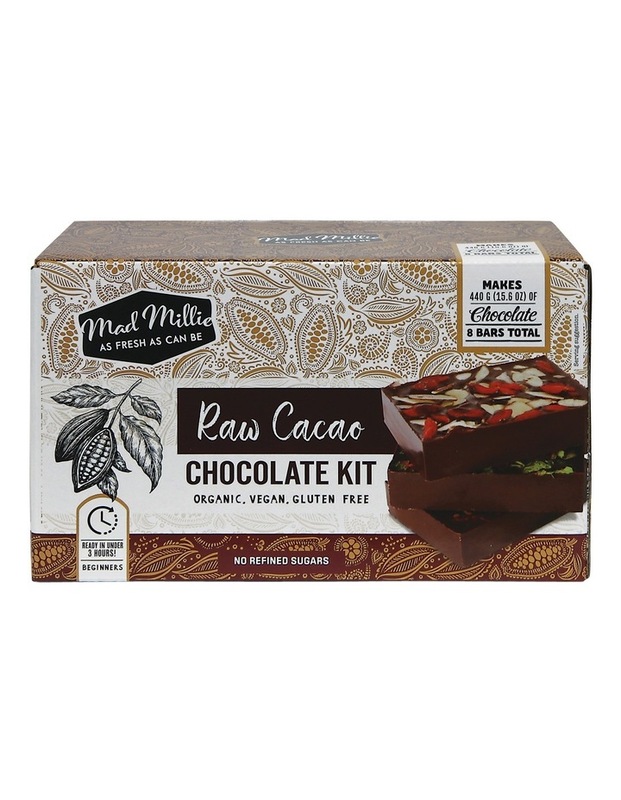 Packed with antioxidants and without any nasties or refined sugars, we think this raw chocolate kit idea is going to be a winner with both the health-conscious an.